Second day of my photoshop experimenting. Here's what I came up with working for about 4 hours. I wouldn't make it so good if it wasn't for a few nice people who emailed me with great tips. Thank you for that! 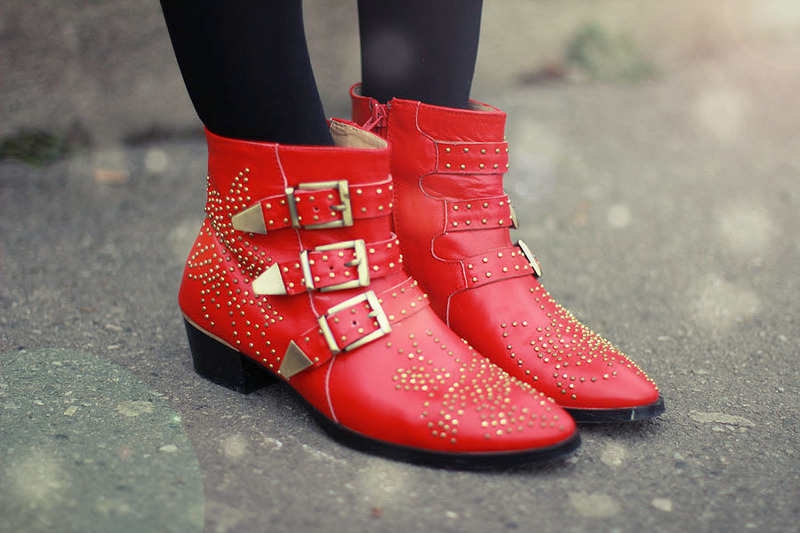 I'm wearing my new red Chloe inspired boots from Choies. Love your Miu Miu bag and the pairing with blazer. I love your shoes! Nice photos! have a nice weekend dear !! The pictures look really great! I also think you made the right choice; those booties look really really nice! Blazer je iz nove kolekciju ili...? Blazer je iz nove kolekcije ili...? Bas su fora cizmice :) Jakna mi je predivna! I slike su ti super ispale! Your jacket is so amazing!! Super cute outfit, love your baggy! Love your tweed jacket! So pretty:)! I love everything in this post and especially your Miu Miu bag!!! You look stunning as always always!!! Predivne fotografije, svija mi se blazer! Love the jacket, amazing shoes! whoah these photos belong in a magazine--- wow!!! obsessed with this look! xO! Great photos!!! Love the jacket! Great photos!!!! Love the jacket!